If you were doing a Bible Quiz and you were asked whose “knees knocked together” and why – what would you answer? 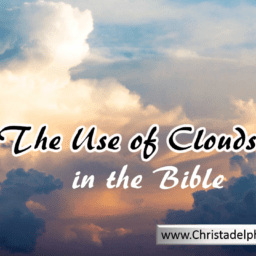 Well, the answer is in today’s readings in Daniel.This is one of several lessons as to how quickly humans can forget the evidence of the power and presence of God in their lives or in those very near to them. 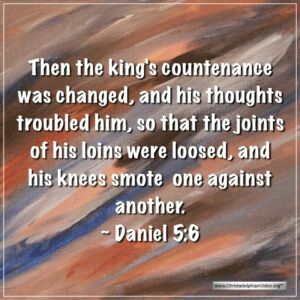 It was such a dramatic happening that “the king’s colour changed, and his thoughts alarmed him; his limbs gave way, and ”his knees knocked together” [v.6] His wise men cannot interpret the writing, but the queen mother comes in (v.10) and reminds him of the now aged Daniel. 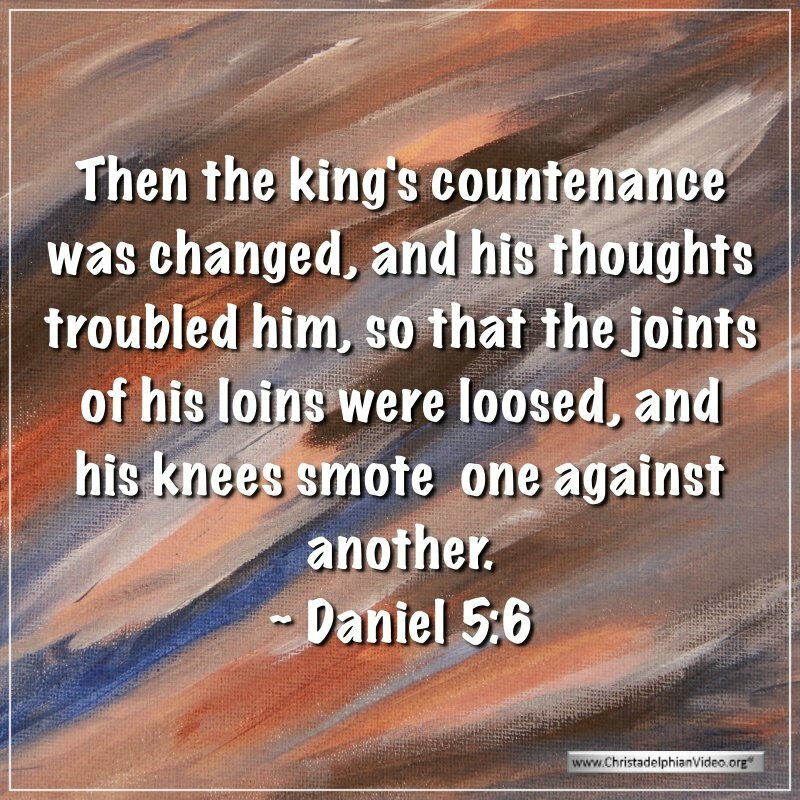 Daniel is called and arrives to interpret the writing, a message of doom – “you have been weighed in the balances and found wanting” [v.27]. 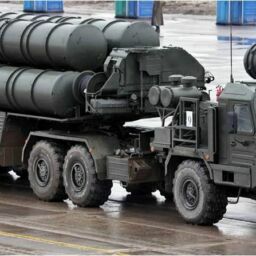 His kingdom is to be overthrown by Darius and “That very night Belshazzar … was killed” [v.30]. Our Chronicles reading provides similar lessons. We read in 2 Chron. Ch. 23 of the boy Joash who was preserved to become king. He was guided by the aged priest Jehoiada and did great work to repair the Temple which had been desecrated by his evil grandmother who had seized control of the nation and killed all the heirs, but he had been hidden. “But the Priest Jehoiada grew old and died … He was 130 years old” [24 v.15]; the then “the princes of Judah came and paid homage to the king (flattered him). Then the king listened to them. 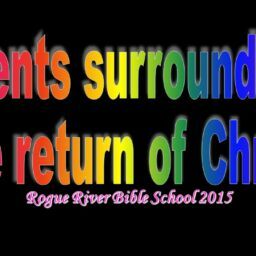 And they abandoned the house of the LORD” [v.17-18} and great trouble followed. These events are lessons for us. 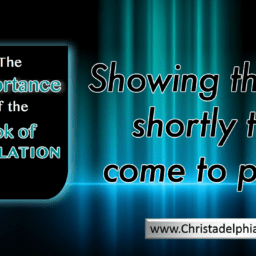 This world has abandoned all meaningful belief in God – and so will not God, maybe soon, create situations in which knees will knock together – and worse! 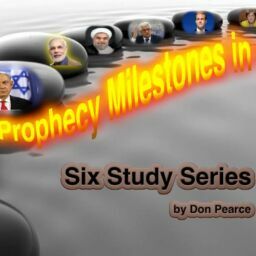 The words of the prophets are that he will, let us heed the lessons of history that God’s word alone illustrates. 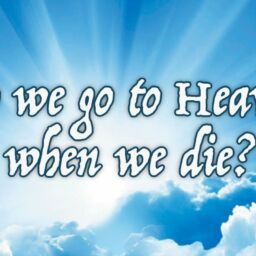 Eternal Life on Earth or in Heaven! 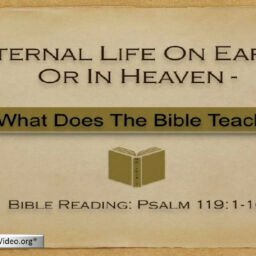 What Does the Bible Teach? 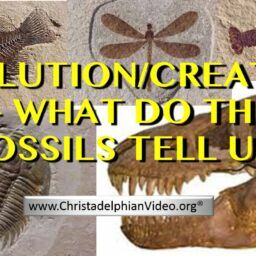 Evolution Vs Creation: What do the Fossils Tell Us! In Or Out? 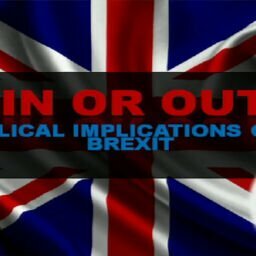 – Bible Implications of a Brexit! Given at the Christadelphian Enfield Ecclesia last night (19th June) The background to Britain’s relationship with Europe is well explained….